Are you considering dental veneers? If it’s through North Oaks cosmetic dentist Drs. Horn or Loween, you won’t regret it! There is, however, something worth considering before your procedure commences. What is it? Take a look in the mirror. What color would you describe your teeth to be currently? White tinged with yellow? Yellow accented by a darker yellow? The point is if you’re less than satisfied with the image they present, now is the time to correct it. A simple, professional whitening procedure can make the world of difference! Serene Oaks Dental offers Zoom! teeth whitening because it has proven to be both safe and impressively effective! Yet, why is this course so highly recommended before receiving dental veneers? If you’re thinking, “Oh well, I’ll have them all whitened later,” you may be in for a surprise! Dental veneers do NOT respond to whitening agents. Put simply, if you have veneers matched to your discolored teeth, and then down the road use a whitening agent, your natural teeth will respond and lighten while your veneers remain at the selected tint. Wouldn’t that look funny? 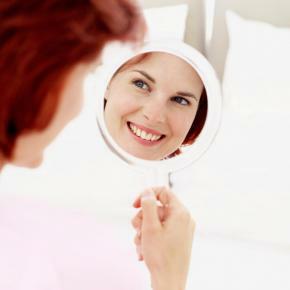 Keep your smile vibrant and uniform by seeking the professional guidance and skill of North Oaks cosmetic dentist Drs. Horn or Loween!